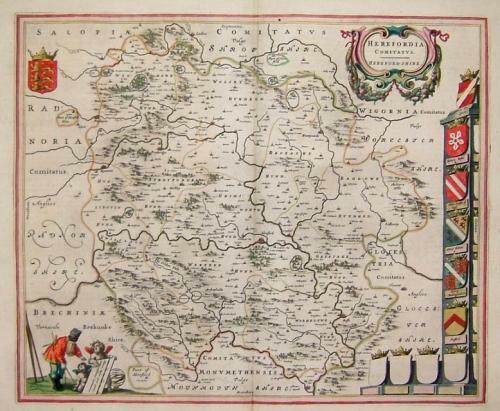 A beautiful map of the county of Herefordhire with many decorative elements. The map is in excellent condition with no splits or repairs. The paper is clean with wide margins.